The Macro board is our large sized board. 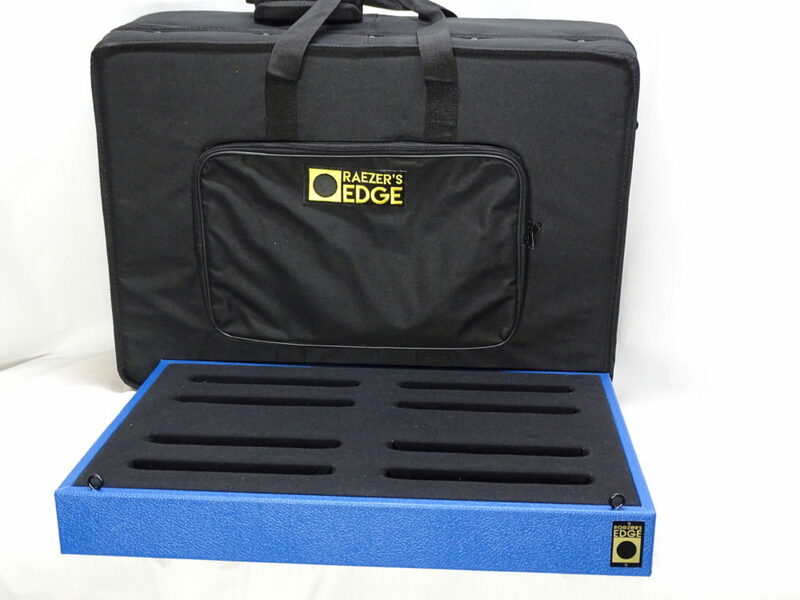 Comes with a large hard frame gig bag from SKB. 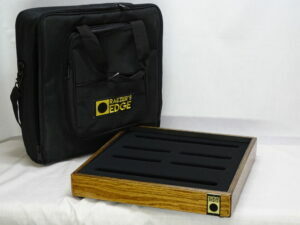 Available in a variety of tolex colors or natural stained oak. Simple and functional and unmistakeable. 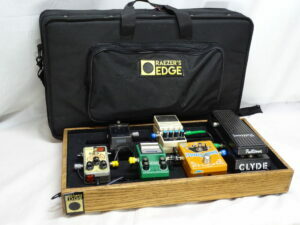 Can hold 8-10 standard sized pedals.